Come see this beautiful private country estate. 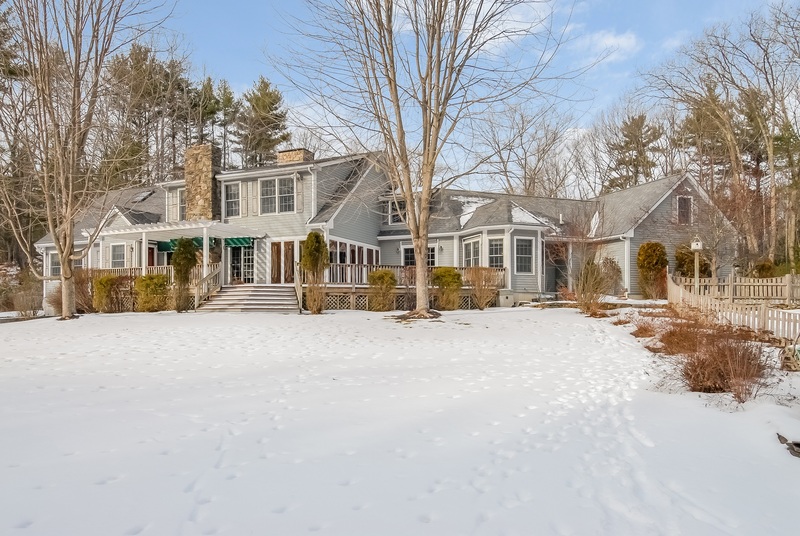 This four bedroom, five bath house is located on 7.97 acres, and is an easy commute to Boston, Manchester and Portsmouth. This lovely kitchen is boasting with stainless steel appliances, granite counter tops, custom cabinets and breakfast bar. Open concept living at its finest with a large Breakfast Nook, and Formal Dining room. Enjoy the cool summer evenings from your sun room. For those chilly nights, stay warm in the large living room with a beautiful stone wood burning fireplace. The 1st floor Master bedrooms offers en suite bathroom and large walk in closet. The 2nd bedroom and full bath are also located on the 1st floor. Additional master suite and family room with a wood burning stone fireplace on 2nd floor. 3rd floor has space for Guest Suite or a playroom. Great features of this house include Central AC, In ground Pool with Pool house and Gazebo. Partially finished basement. Dont miss out on watching the deer in the backyard.